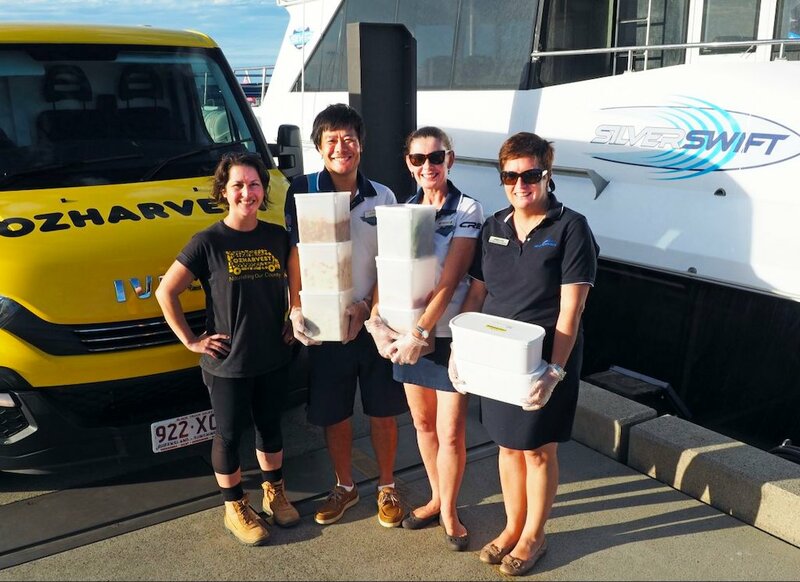 OzHarvest currently supplies 23 agencies in the Cairns area that provide meals for those in need with new charities coming on board regularly. These range from shelters and emergency food relief programs to schools with breakfast programs. Pictured left to right: OzHarvest's Jana Gorski with Satoshi, Pascale and Customer Services Manager Annelyse Andlauer.